The city of Pacifica on Thursday announced its intent to move forward with the demolition of an oceanfront apartment building after the city’s geotechnical consultant and building head recommended the need to take down the crumbling structure as soon as possible. A date for the demolition has not been set. Last weekend, the path along a popular beach walkway gave way, leaving a massive sinkhole in its wake. The gaping hole, which won't be fixed till Thursday's storm abates, is about 100 feet from the building at 310 Esplanade. The Pacifica city manager on Thursday announced plans to move ahead with plans to demolish 310 Esplanade because of coastal erosion. The 20-unit apartment complex is at risk of falling into the ocean. Bob Redell reports. "The concern is that a substantial part of the building could fall onto the beach," said geological engineer Ted Sayre. Built in the 1960s, the building at 310 Esplanade contains hazardous materials that city officials say would present a significant threat to public health if there is another major storm, earthquake or other destabilizing event force that could cause portions of the building to fall. 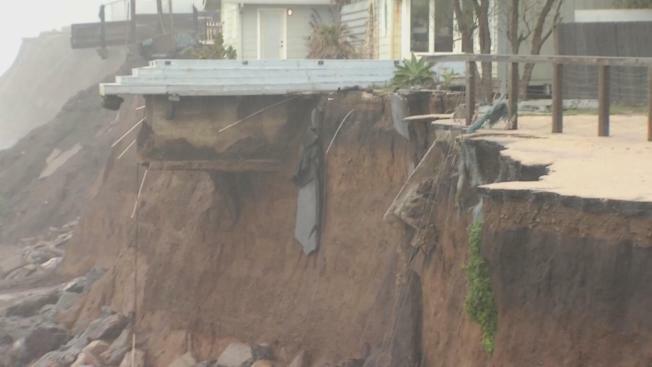 On Jan. 25, the city of Pacifica said the apartments at 310 Esplanade Avenue were uninhabitable due to coastal erosion. Pacifica Chief Building Official Mike Cully “yellow-tagged” the apartments and several homes, meaning residents were allowed to access buildings only to remove their belongings. The city worked with the Pacifica Resource Center to provide assistance to residents as they transitioned to other housing. The property is currently vacant. Since then, the city said the apartment building has been neglected by its owner, Millard Tong, and is at risk of crumbling over the eroding cliff and threatening public safety. Tong, who is the owner of 310 Esplanade and the previously demolished 320 Esplanade, filed for bankruptcy in 2015 and has largely neglected the buildings. Tong did not immediately return a phone call on Thursday to respond to these allegations. 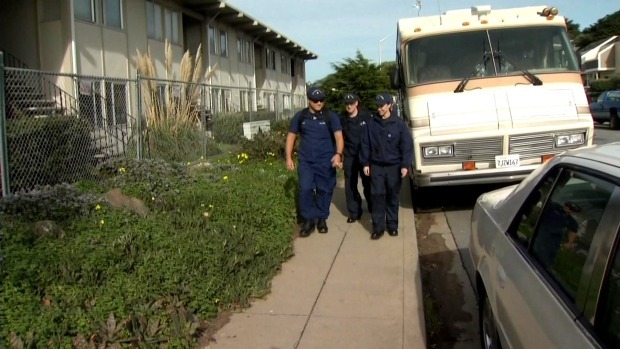 Pacifica's coastal erosion began in 2010, when major storms caused the city to evacuate and “red-tag” the 20-unit apartment building at 320 Esplanade and the 12-unit building at 330 Esplanade. Both buildings were left empty, teetering on the edge of a quickly eroding coastal bluff. Four years later, Tinfow declared a state of local emergency because of the significant damage. On Feb. 18, the adjacent, separately-owned 330 Esplanade was demolished by that building’s owner and on Mar. 12, the city shelled out $240,000 to demolish 320 Esplanade. Pacifica has requested assistance from both the state and federal government to help cover the $3 million it will cost to repair damaged city structures. In October, the city reported that insurance and grant funds would cover the majority of the repair costs; repairs are currently underway. City leaders said Thursday that taxpayer funds also will be used to tear down the complex. "We are pursuing all actions available to use to be reimbursed for the cost of the demolition," Tinfow said. Pacifica resident Elise Wiliams said the building is an "eye sore" and "doesn't seem like it's very safe." While some neighbors cheer the upcoming demolition, the city is focused on a long-term erosion plan. "We are very focused on protecting the streets on the coastal bluffs because of the infrastructure," Tinfow stressed. The city is also slated to pay to demolish a house on 526 Esplanade Avenue. After recent storms, the property is tottering dangerously close to the cliff's edge. Tinfow said the owner is cooperating. In exchange for the rights to the land, the city will cover the cost of the demolition, which will likely be scheduled sometime next year.